Move over corn, tobacco is poised to take the lead in the biofuel race. Just a few short years ago, it seemed that ethanol, a biodiesel fuel derived from corn, was going to be the key which freed us from the shackles of fossil fuels. Yet, the promise of ethanol has since worn thin. Nitrogen-hungry corn requires heavy fertilizer when grown on a large-scale, placing the local water-table at risk. Social justice advocates have cautioned further against using a food source for fuel. Could tobacco be the answer? Initially, scientists considered the oil derived from tobacco seeds as a potential fuel source. Seed volume proved to be too low, shifting attention to the leaves. With a little bioengineering, the leaves have become promising oil producers. The researchers at the Biotechnology Foundation Laboratories at Thomas Jefferson University have recently isolated two genes in the tobacco plant DNA that, when over-expressed, increase oil production. Surprisingly, as oil production increased, so did the concentration of fatty acids within the oil. The result is not only more, but more concentrated oil. While tobacco clearly has promise, it too will have to stand the scrutiny which befell ethanol. 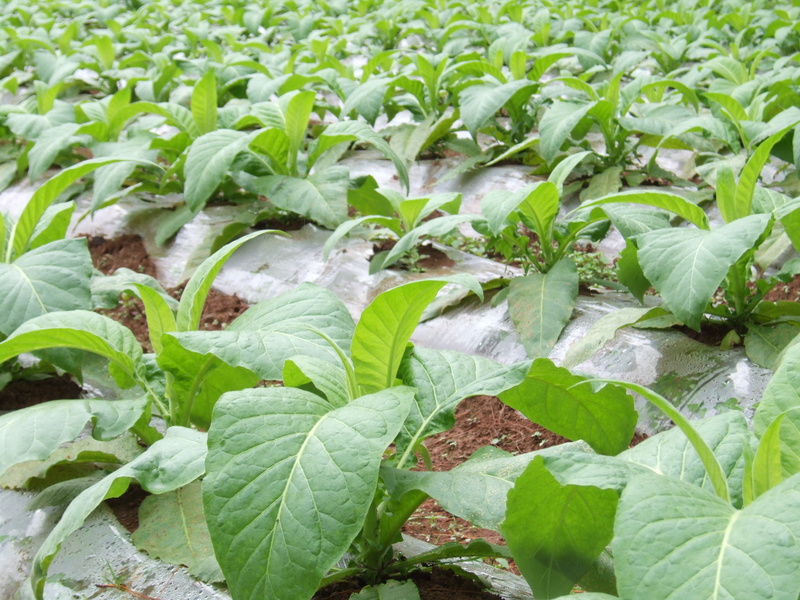 Tobacco is considered an expensive plant, though a significant portion of the expense lies in the curing of leaves for smoking tobacco as this involves the burning of large volumes of wood. It is this practice which is often quoted as a major environmental beef with the tobacco companies. While tobacco is not a food source, there is still a legitimate concern that the crop could end up competing for land with food crops. Tobacco is native to the Americas, yet much is already produced in the developing world. Were tobacco to become an energy commodity, cash poor nations might be tempted to relegate more of their farm land to the latest cash-crop. While it is an intriguing idea that Big Bad Tobacco could shift its business to the energy sector, it is yet still fantasy. Plant Biotechnology Journal (2009) 8, pp. 1–11.